Thought women are gold diggers, men are the worst. 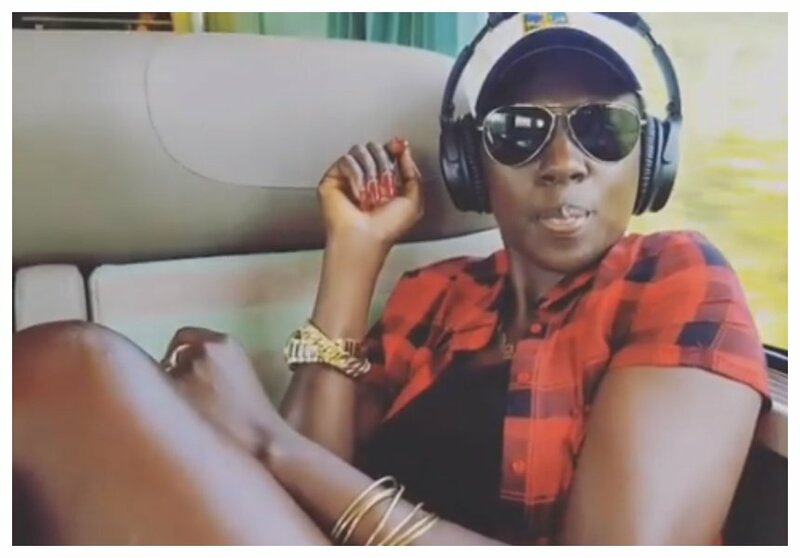 Akothee got a crazy request from a lazy men who is looking for a shortcut in life. The mother of five shared a screenshot of a DM she got from a desperate man who was earnestly begging her to allow him to be his side man. 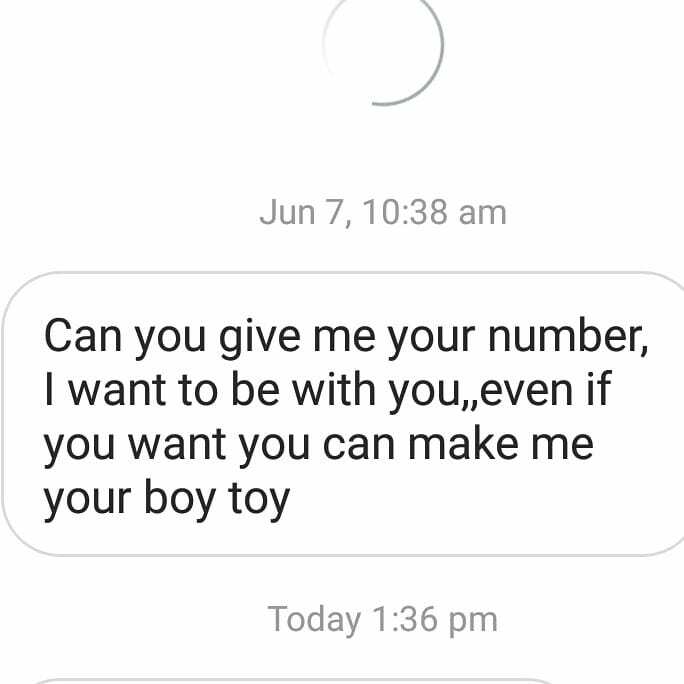 “Can you give me your number, I want to be with you, even if you want you can make me your boy toy,” the man’s message read. 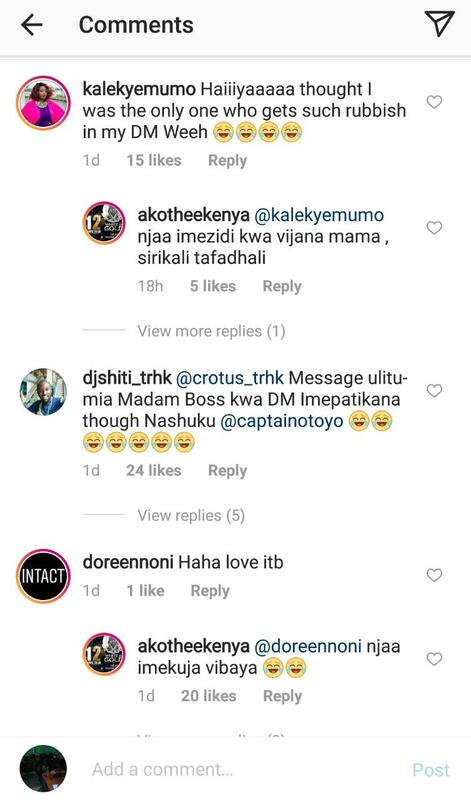 Kalekye Mumo, DJ Shiti were among some of the celebs who commented on Akothee’s post after she shared the screenshot. Kalekye was amused that she wasn’t the only celeb getting such kind of messages from crazy men. 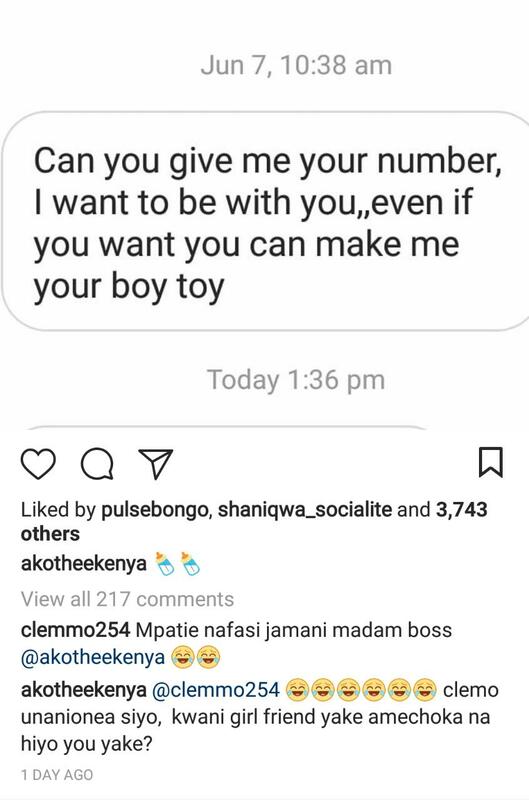 “Haiya, I thought I was the only one who gets such rubbish in my DM,” Kalekye commented on Akothee’s post.